The Gathered Gifted box comes is 9 varieties all available on their website. There is the women’s lifestyle, Men’s lifestyle, Children’s lifestyle and more, but today I am reviewing the Whimsical type! We look for beauty, comfort and quality in our gifts. A very nice and personal touch is a little note I got with the box, welcoming me to Gathered! So, what did I get this time in my “Afternoon tea” themed box? This smelled so, so promising. Smelled just like cake. I lit and I waited… and I couldn’t smell that awesome scent that had been there when the wick wasn’t lit! 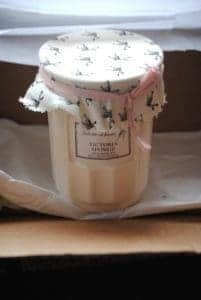 However the candle came with a couple of recipes under the lid, it was a really nice touch and I loved the idea of this – I love a vintage style good! 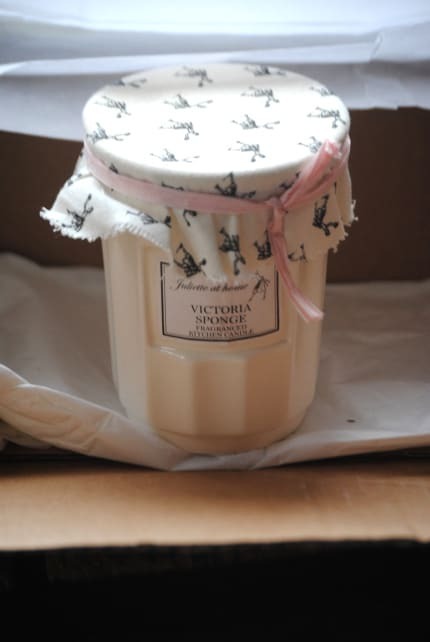 A beautiful candle and a lovely lovely initial scent, but unfortunately it didn’t resonate into the air. Well, I couldn’t really get what these were supposed to be for. 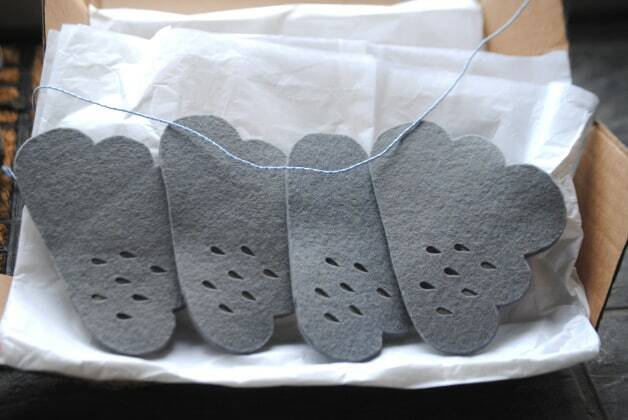 At my best guess, I could either sew them into little felt clouds, or I could use them as coasters – I asked the ladies at Gathered Gifted and they turned out to be coasters. Either way, if i had kids, they would have loved to play with these! However, for £20 per box I don’t believe that the box really delivers enough content for this. 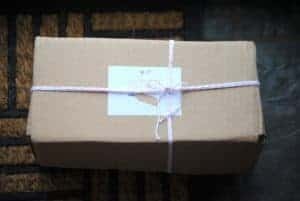 Though the products are full size, which is not always something that subscription boxes cater too. Conclusion: When all is said and done, this really is a lovely little box, and the products are made with the utmost quality. This really is a different box. 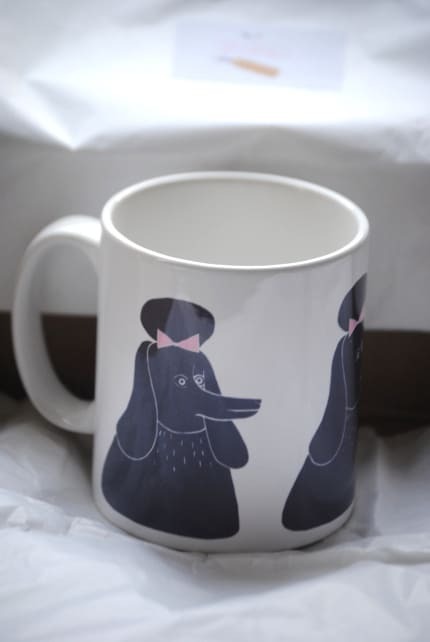 Though it wasn’t my cup of tea (a little too quirky for me! ), the idea behind it is so lovely and charming. Definitely more thoughtful than some of the more mainstream boxes! 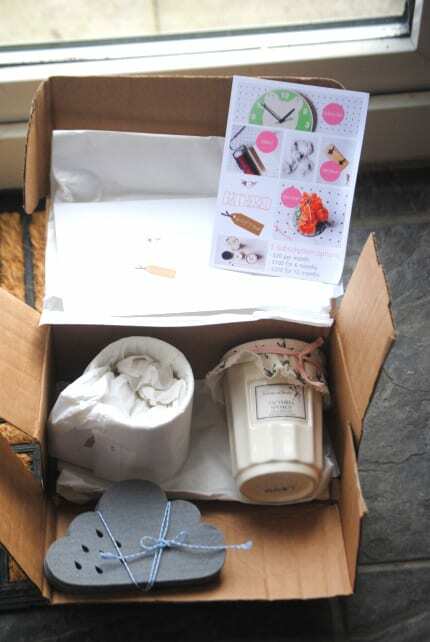 Would you like to receive a box of loveliness each month? Subscribe to Gathered Gifted & leave the rest to us. We work with over 200 designers from across the UK, Australia and the US, from our HQ based in the historic town of Sherborne, Dorset. 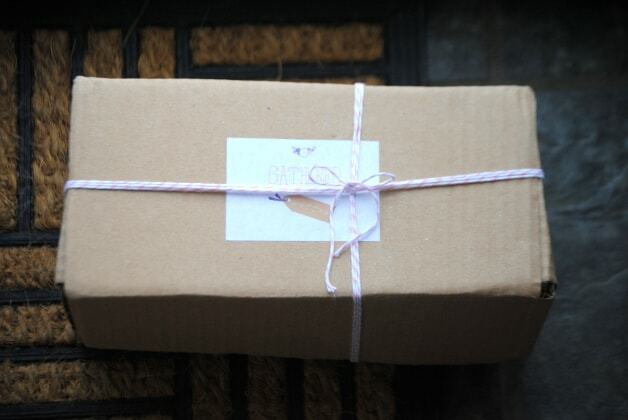 Each month, we will send you, a loved one, or friend, a surprise gift in the post. Choose from 9 themes, let us know what you love and leave the rest to us. Themes: Women’s Lifestyle, Men’s Lifestyle, Mother & Baby, Children’s, Crafting, Home, Stationery, Jewellery & Whimsical. 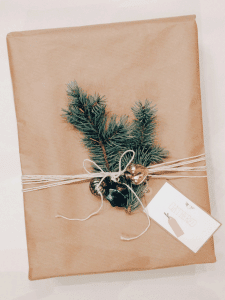 Beautifully wrapped presents – tailored monthly surprises – unique designers. £20 per month + delivery. How would you rate Gathered Gifted ?